Are you tired of shuffling back and forth between windows? 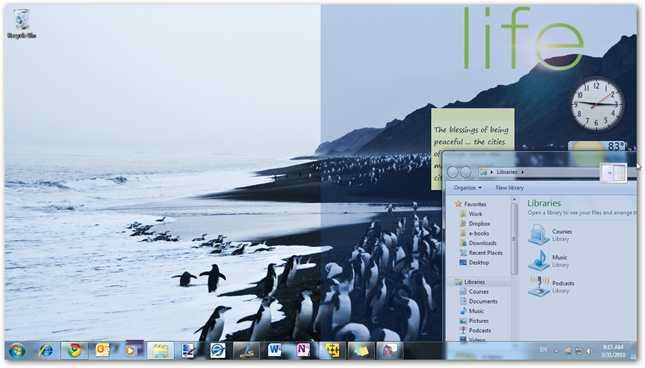 Here’s a handy app that can help you keep all of your windows organized and accessible. 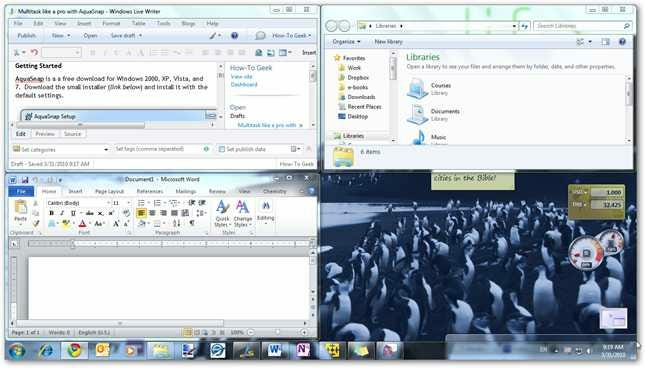 AquaSnap is a great free utility that helps you use multiple windows at the same time easily and efficiently. 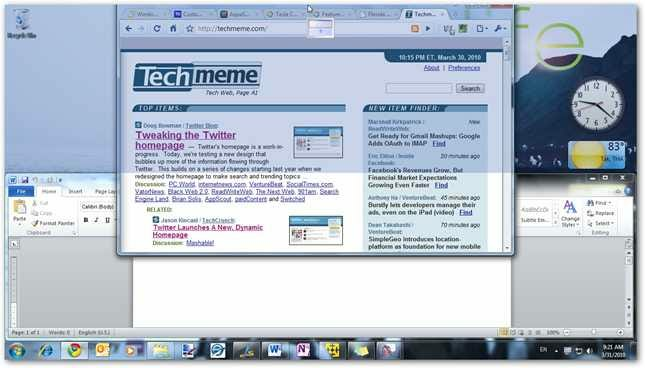 One of Windows 7’s greatest new features is Aero Snap, which lets you easily view windows side by side by simply dragging windows to side of your screen. After using Windows 7 for the past year, Aero Snap is one of the features we really miss when using older versions of Windows. 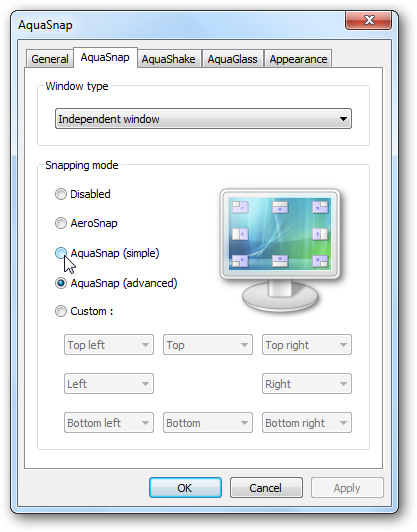 With AquaSnap, you now have all of the features of Aero Snap and more in Windows 2000, XP, Vista, and of course Windows 7. Not only does it give you Aero Snap features, but AquaSnap also gives you more control over your windows to make you more productive. 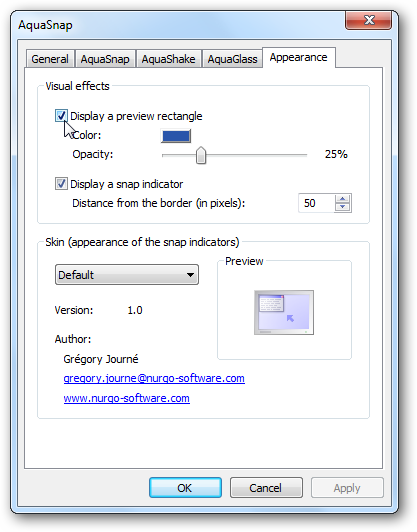 AquaSnap is a a free download for Windows 2000, XP, Vista, and 7. Download the small installer (link below) and install it with the default settings. 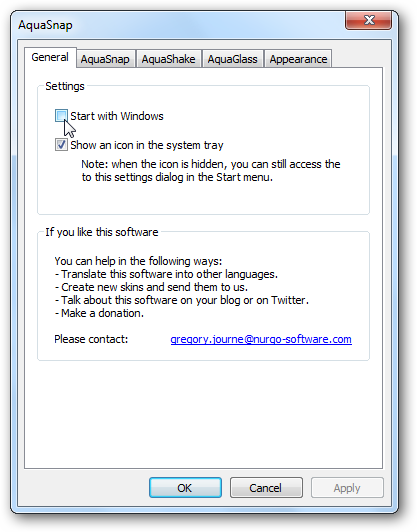 AquaSnap automatically runs as soon as it is installed, and you will notice a new icon in your system tray. Now you can go ahead and put it to use. Drag a window to any edge or corner of your desktop, and you will see an icon showing what part of the screen the window will cover. Dragging it to the side of the screen expanded the window to fill the right half of the screen, just like the default Aero Snap in Windows 7. You can drag the window away to restore it to its former size. AquaSnap works on any corner of the screen too, so you can have 4 windows side-by-side. We already have 3 windows snapped to the corners, and notice that we’re dragging a fourth window to the bottom right corner. You can also snap windows to the bottom and top of the screen. Here we have Word snapped to the bottom half of the screen, and we’re dragging Chrome to the top. You can even snap internal windows in Multiple Document Interface (MDI) programs such as Excel. 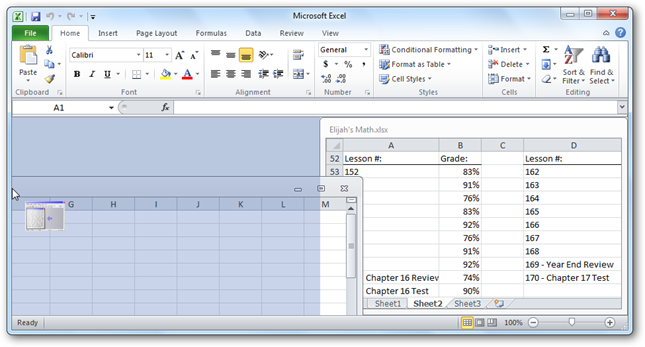 Here we are snapping a workbook in Excel to the left to view 2 workbooks side-by-side. Additionally, AquaSnap lets you keep any window always on top. Simply shake any window, and it will turn semi-transparent and stay on top of all other windows. 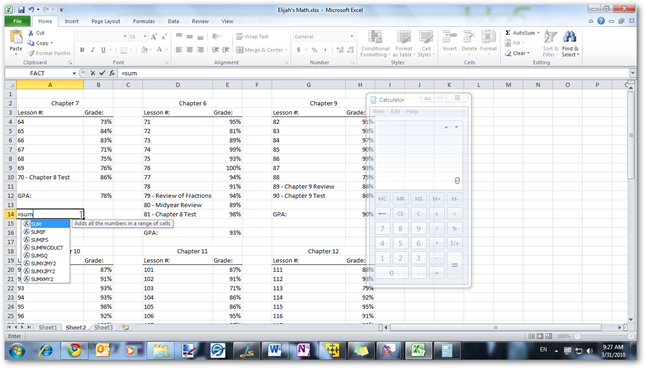 Notice the transparent calculator here on top of Excel. 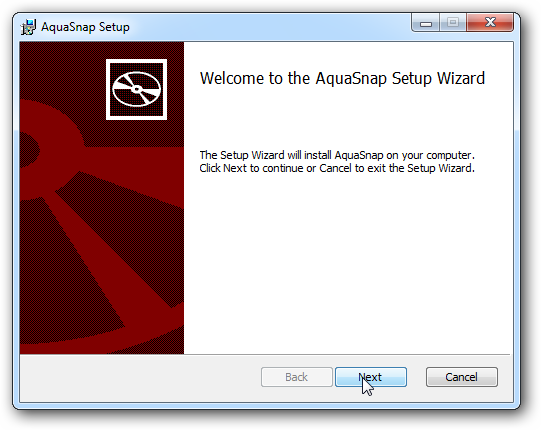 All of AquaSnap’s features work great in Windows 2000, XP, and Vista too. 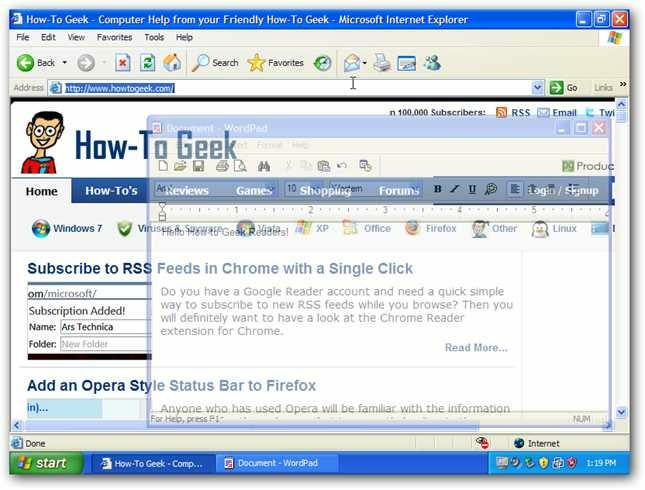 Here we are snapping IE6 to the left of the screen in XP. 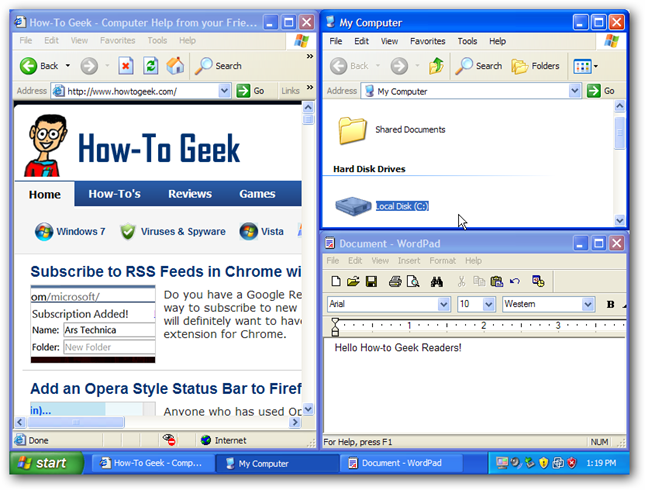 Here are 3 windows snapped to the sides in XP. You can mix the snap modes, and have, for instance, two windows on the right side and one window on the left. This is a great way to maximize productivity if you need more space in one of the windows. 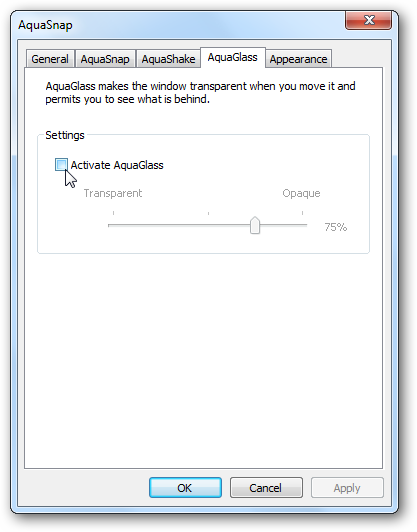 Even AquaShake works to keep a window transparent and on top in XP. AquaSnap has a detailed settings dialog where you can tweak it to work exactly like you want. Simply right-click on its icon in the taskbar, and select Settings. From the first screen, you can choose if you want AquaSnap to start with Windows, and if you want it to show an icon in the system tray. 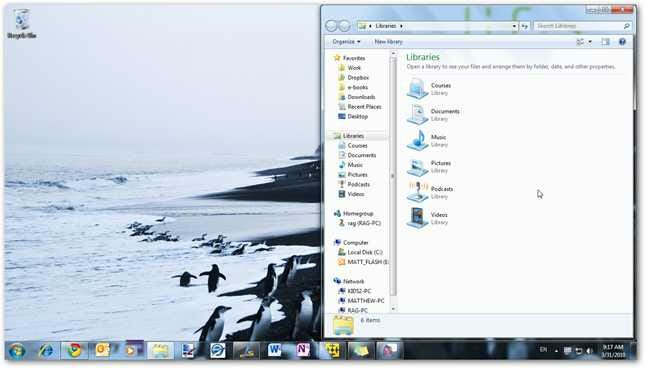 If you turn off the system tray icon, you can access the AquaSnap settings from Start > All Programs > AquaSnap > Configuration (or simply search for Configuration in Vista or Windows 7). The second tab in settings lets you choose what you want each snapping region to do. You can also choose two other presets, including AeroSnap (which works just like the default Aero Snap in Windows 7) and AquaSnap simple (which only snaps at the edges of the screen, not the corners). 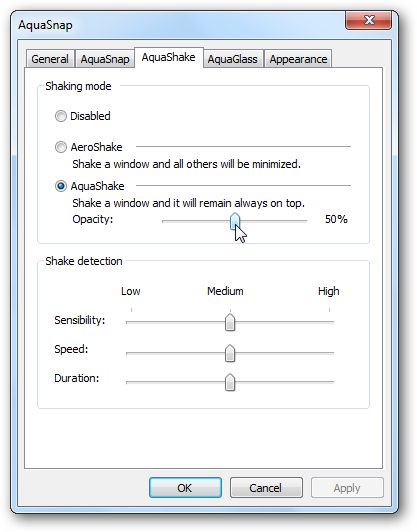 The third tab lets you increase or decrease the opacity of pinned windows when using AquaShake, and also lets you increase or decrease the shaking sensitivity. Additionally, if you prefer the standard AeroShake functionality, which minimizes all other open windows when you shake a window, you can choose that too. The fourth tab lets you activate an optional feature, AquaGlass. 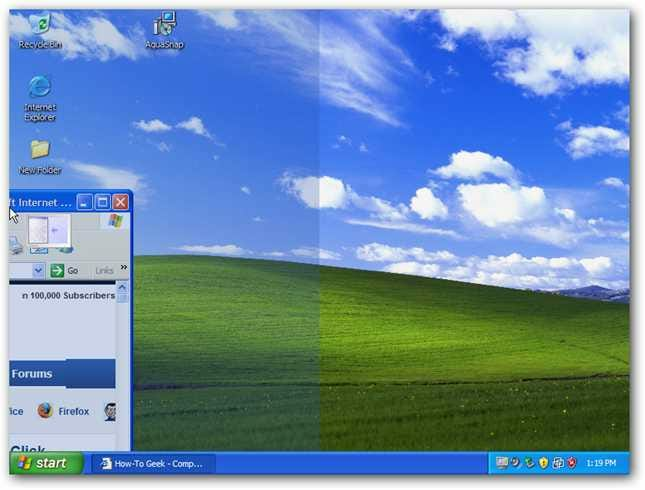 If you activate this, it will make windows turn transparent when you drag them across the screen. Finally, the last tab lets you change the color and opacity of the preview rectangle, or simply turn it off. 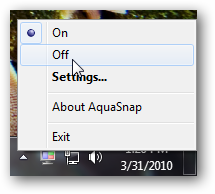 Or, if you want to temporarily turn AquaSnap off, simply right-click on its icon and select Off. 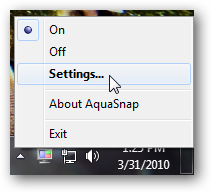 In Windows 7, turning off AquaSnap will restore your standard Windows Aero Snap functionality, and in other version of Windows it will stop letting you snap windows at all. You can then repeat the steps and select On when you want to use AquaSnap again. AquaSnap is a handy tool to make you more productive at your computer. With a wide variety of useful features, there’s something here for everyone.